Note: We are still in “Active Recovery” mode. Use only 50 % of bodyweight on todays workout. Dom Demers is a CHAMPION! Our very own Dom Demers is leaving for the East Coast to attend College. 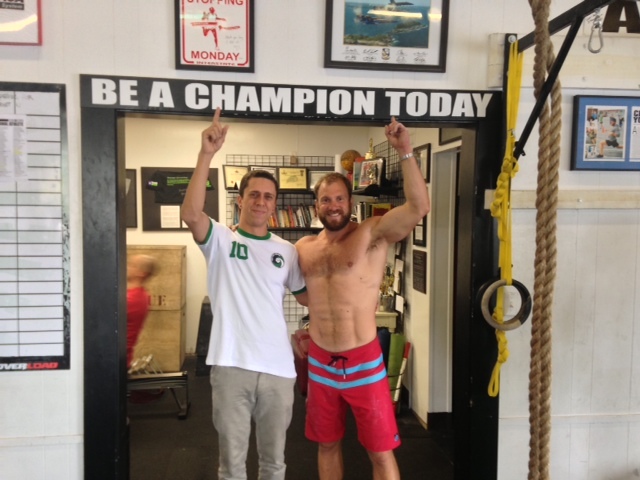 Dom and his dad Corey Demers have been part of the CrossFit Amundson family since July 2012. Dom is an extremely determined man who is committed to the pursuit of excellence in his athletics and education. Please join us on today at 1:15 PM at Suda for a goodbye lunch for Dom. We look forward to seeing you there!